Florida health insurance is comprised of two main categories: Florida individual health insurance and Florida group health insurance. These two categories have many similarities but yet many important differences as well. Many Florida residents are quite familiar with large group medical insurance through their employer if they have ever worked for a large corporation (in Florida a large group is considered a company or group that has more than 50 employees). 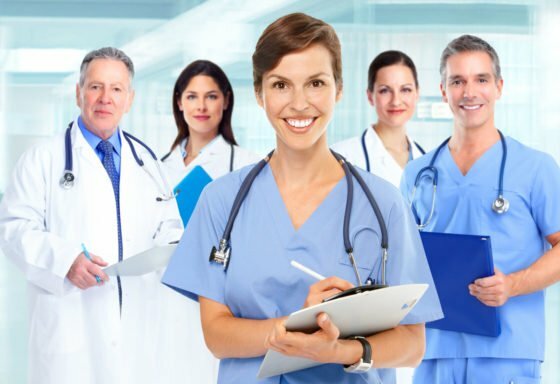 However, when it comes to understanding individual medical insurance in Florida and how it works or even understanding small group medical insurance in Florida and how that works it turns out to be somewhat different than the large group medical insurance plan that most have known so well for so long. Individual medical insurance in Florida is different from group medical insurance in Florida because of the fact that the underwriting departments at each Florida insurance company will scrutinize very closely any pre-existing conditions that an applicant has in their health history (going back up to 10 years) if they are applying for an individual policy. This scrutiny is geared towards finding any adverse health conditions or precursors to health conditions such as diabetes, high cholesterol, heart disease, obesity, cancer, etc. Conditions such as diabetes, cancer, heart disease and severe obesity will cause a Florida health insurance company to automatically decline an application for coverage with an individual medical insurance policy. Less severe pre-existing health conditions such as high cholesterol, high blood pressure, mild obesity, and heartburn/acid reflux will generally result in a rider being placed on the accompanying policy that will exclude coverage for anything related to that specific pre-existing condition. Riders are generally levied on an indefinite basis or a temporary basis (12-24 months in most cases). There are a few insurance companies in Florida (one of them presently being Aetna) that do not issue riders on the individual medical insurance side as is most common but will instead “rate up” an applicant they deem presents excess risk due to pre-existing conditions. This “rate up” simply means that they will offer to cover the mild pre-existing conditions but they will offer you a rate increased premium amount that can be 10% more than was initially quoted you, 25% more, 50% more; it all depends on the underwriting department at the insurance company as to what premium amount that they will offer you if they decide to accept you. Florida group medical insurance is much simpler in that generally there is not as much scrutiny towards an applicant’s health history and pre-existing conditions. This is good or bad depending on your present health condition. It is good if you are an unhealthy person with some major pre-existing conditions because it allows you to obtain group medical insurance when you would be declined if you tried to obtain individual medical insurance (due to your pre-existing conditions). Just from what you have learned so far; which do you think would be more expensive – group medical insurance or individual medical insurance? If you said group medical insurance then you are on the right track to understanding the main difference between the two. Think of the cost of group medical insurance versus the cost of individual medical insurance like this: if your new co-worker at the cubicle next to you has cancer then guess what? They will be able to obtain group coverage on your group plan even though they never would be approved for an individual medical insurance policy. You as a healthy person are in a sense subsidizing the cost of your unhealthy co-worker (and all of the other unhealthy people) in paying their premiums. It follows of course that the premiums will be higher for a group medical insurance plan in Florida where the insurance company has to take on both healthy and unhealthy people as opposed to an individual medical insurance plan in Florida where the insurance company can pick and choose who they will accept. Compare Florida Health Insurance Quotes Online! Be sure to research your Florida medical insurance options thoroughly by consulting with one of our independent health insurance agents who can represent multiple health insurance companies and by comparing Florida health insurance quotes from multiple companies side by side. Be sure not to believe any Florida insurance agent who tells you that you will be approved for an individual medical insurance policy whether you have pre-existing conditions or not – chances are they are just trying to unload a close to worthless medical discount plan – not medical insurance. Compare Florida medical insurance quotes from all of the top insurance companies side by side now by entering your zip code in at the top of the page! Florida health insurance companies are now feeling the effects of the increased price transparency that the Internet brings. No longer is it a process of days or even weeks to obtain multiple health insurance quotes from top Florida health insurance companies. The simplest and most efficient way to obtain health insurance coverage in Florida is simply to make the top health insurance companies in the state (Golden Rule/United Healthcare, Blue Cross Blue Shield of FL, Assurant, Aetna, Humana, etc.) compete for your business! Health insurance in Florida has become something that every Florida resident needs and yet something that very few understand. Affordable and comprehensive health insurance in Florida should not be confusing, uncertain, or difficult to obtain. However, at times this is case because the Florida health insurance market is saturated with many different insurance companies, insurance policies, and enough convoluted features to make your head spin. RELAX! Shopping for health insurance in Florida does not have to be a long and drawn out, mind-numbing chore. Let’s take a look at a few basic principles of health insurance in Florida, do a little research and then find an affordable and comprehensive Florida health insurance policy that is just right for you and your family! You will notice a few lines above that we are looking for affordable and comprehensive health insurance in Florida. So for the same reason that most people don’t purchase the cheapest possible car that they can find we are not going to be fooled into purchasing a Florida health insurance policy based solely on price. Just as you want a car that is just the right mixture of affordability and features/protection/reliability, etc. we want to find a Florida health insurance policy that has just the right mixture of affordability and features/protection/reliability as well. First of all, let’s take a look at a few things that are NOT considered adequate health insurance in Florida. Discount health plans are not insurance! In fact, simply type into any major search engine, “Discount health plan warning” and take a look at all of the government warnings that pop up telling consumers to beware of discount health plans. If it sounds too good to be true then it probably is. Also, not quite as bad as a Florida discount health plan but still far from comprehensive coverage is a Florida health insurance policy that is either an indemnity-style policy or a policy that has calendar year limits. 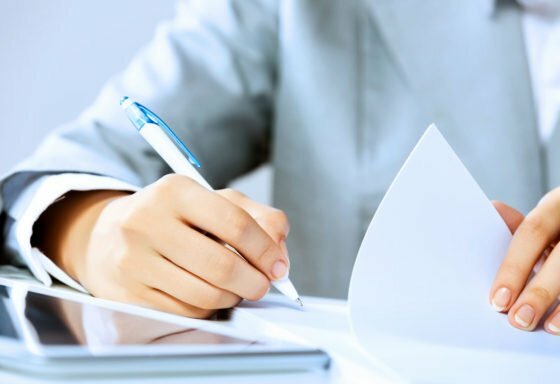 An indemnity policy is a health insurance policy that uses a method of paying out benefits based on a predetermined, fixed rate set for the medical services provided, regardless of the actual expenses incurred. In other words, let’s say that you have a hospital bill that amounts to $100,000 (not unreasonable by any stretch of the imagination these days) and in the fine print of your Florida indemnity health insurance policy contract it states that they will pay an indemnity benefit of $5,000 maximum for any given hospital benefit – then guess what? You are stuck with a $95,000 bill! As you can imagine the potential for abuse with an indemnity health insurance policy is enormous. The third type of health insurance in Florida to watch out for is a health insurance policy that has a calendar year limit. This is a step up from an indemnity policy but it is still far from comprehensive. A calendar year limits means exactly what it says. Rather than capping your benefit based on the procedure as in an indemnity policy a policy with a calendar year limit will only pay benefits in total for any given year up to a certain benefit amount. After you reach that level it is as if you do not have health insurance for the rest of the year. For example, we will use the same scenario as above with you receiving a $100,000 hospital bill in the mail. If your health insurance policy has a calendar year limit of $75,000 then you are stuck with a bill of $25,000 to personally foot and your policy will not pay out any more benefits to you until January 1st of the following year. Not the kind of news that you want to receive as you are recuperating from whatever ailment placed you in the hospital in the first place (hopefully not a heart attack with the shock that you will probably get). Ok, so we know now to avoid the discount health plans, the indemnity style policies, and the policies with calendar year limits. Let’s take a look at some good strong companies that offer health insurance in Florida. There are a number of different Florida health insurance providers but the “Big 5” health insurance companies in Florida are Golden Rule/United Healthcare, Aetna, Blue Cross Blue Shield of FL, Assurant, and Humana. Each of these Florida health insurance companies offer plans that have at least $3,000,000 of coverage per person with no calendar year limits and no indemnity style features. Each of these companies have a maximum out of pocket cost for you for any given year so that you and your family can budget for any given year and know that no matter what happens (even if hospital bills approach 6 or even 7 figures!) you will never pay more than the maximum out of pocket cost in any given year. This maximum out of pocket cost varies between the 5 companies and depends on the plan chosen (you can compare all of the different maximum out of pocket amounts and other features from the top FL health insurance providers in your zip code if you view instant LIVE Florida health insurance quotes using the tool at the top of the page). Many of the smaller health insurance companies in Florida are forced to put indemnity style features and calendar year limits in their policies simply in order to compete with some of the larger and more established FL health insurance companies. Be a discriminating health insurance shopper and utilize one of our Florida independent insurance agents that can work with many different FL health insurance companies and find you affordable and comprehensive health insurance in Florida. If you cringe at the thought of a United Healthcare agent, an Aetna agent, and a Humana agent all clustering around you amongst a swarm of other Florida health insurance agents and trying to push their company’s health care policy upon you then read on; for health insurance shopping on the Internet has simplified everything. There are numerous Florida health insurance websites that offer Florida health insurance quotes but there are quite a few very important distinctions between the different types. Marketing Organizations do not sell insurance, are not regulated by any insurance department, and generally have no knowledge whatsoever concerning Florida health insurance. However, they can offer consumers a somewhat appealing service. How can they assist in purchasing FL health insurance? They act as a middleman between Florida health insurance shoppers and Florida health insurance agents. When Mrs. Smith in Tampa, FL requests a health insurance quote the marketing company sells her information as a lead to 5 or more Florida insurance agents. The second type of website that offers Florida health insurance quotes is the website that is run by an insurance agency like us (note that it is very important to find only an independent Florida insurance agency: meaning an agency that is not tied to working with only one health insurance company but can show you health insurance quotes from all of the top Florida health insurance companies [we can!]. This is also why we will ignore the quasi-third group of websites that offer Florida health insurance quotes: the health insurance carrier websites themselves. These can be a good service but very time-consuming. There is a better way to shop for Florida health insurance. Most independent insurance agency websites offer a feature that will allow you to request Florida health insurance quotes. However, there is a much better way to shop for Florida health insurance! Rather than waiting for your request for health insurance quotes to be filled; our website offers instant and LIVE health insurance quotes from top Florida health insurance companies! With instant LIVE Florida health insurance quotes you have the best of both worlds: you receive the benefits of competitive pricing by viewing the top Florida health insurance companies quotes for health coverage side by side (the strong point of the marketing organization website model) as well as personal, expert help (the strong point of the insurance agency website model). Not to mention the added benefit of viewing the health insurance quotes from the different health insurance companies in the same format: enabling easy side by side comparisons of benefits. This allows for a true “apples to apples” comparison. Searching online for Florida health insurance quotes does not have to be a long and drawn out ordeal – full of form after form filled out ad infinitum. Answering health history questions and entering and re-entering your family’s date of birth, height and weight and other specific family information is not a fun way to spend time online. Let us help you in your Florida health insurance search. Fill out one quick short form (usually takes less than 20 seconds) and then view 20 or more health insurance quotes from top FL health insurance company’s offering coverage in your zip code – instantly! Yes, if you prefer you can go to each insurance company’s website directly but the quoted premiums will be exactly the same as insurance premiums are set by the insurance company and regulated by the state of Florida. The premium that you pay will be exactly the same whether you go to the insurance company directly or use an independent agent/broker like us. Not only do we help you save time but we also help you save money. View the top Florida health insurance company’s quotes side by side in an easy to compare fashion. Viewing the rates that are offered in your zip code could allow you to see that maybe Aetna is a better deal than a Golden Rule United Healthcare or maybe a Humana One is a better deal than a Blue Cross Blue Shield of Florida. 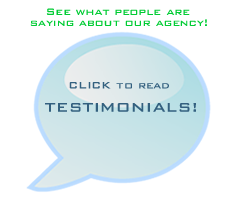 You will save time and money right away but also every year as a client of our independent Florida insurance agents. Why is that? Every year we conduct an annual health insurance policy review with our clients where we re-evaluate client needs and current coverage and compare it all over again against other top company’s quotes. Things change – and we want to make sure that you are fully protected, receiving the best value from a reputable Florida insurance company, and thrilled with the level of personal attention and service that you are receiving from us! View up to 20 LIVE Florida health insurance quotes from top Florida health insurance companies like Aetna, Humana, Golden Rule/United Healthcare, and more all in less than 20 seconds! Enter your zip code in the submission below to view Florida health insurance quotes now!